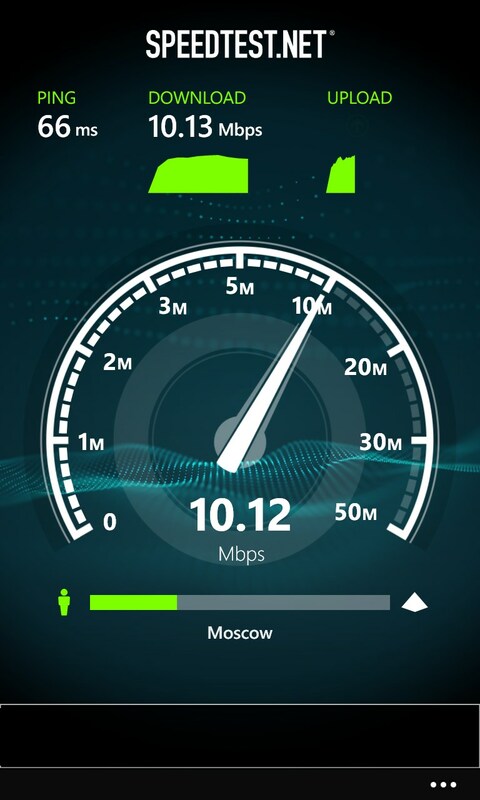 Speedtest.net – Soft for Windows Phone 2018 – Free download. Speedtest.net – Check the actual speed of your Internet connection. 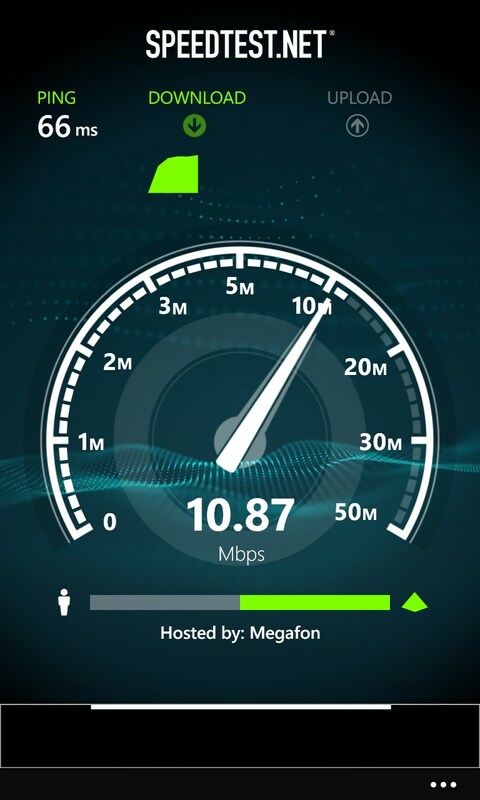 Speedtest.net is a small but very useful application for Windows Phone which can always tell you how things are going with the speed of your Internet connection. The program is the official client of the world's most popular service that provides information about the ping (response speed) and the rate of incoming and outgoing Internet traffic. 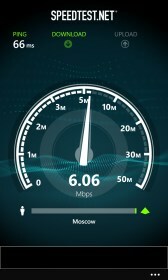 Now you have the opportunity to check how true the words of the provider about the Internet connection speed are. 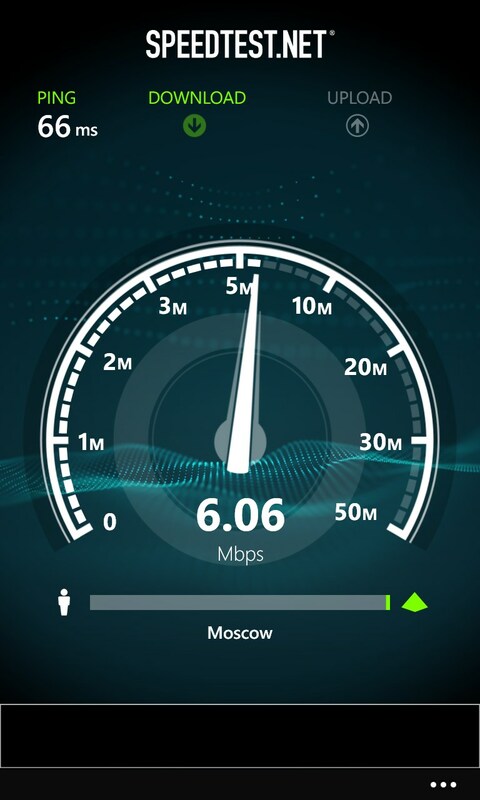 The program works for 3G/GPRS networks as well, and also copes with the measuring the speed of the internet provided by a Wi-Fi access point. 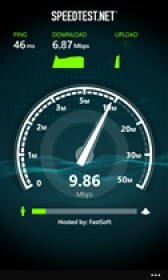 The first feature is especially useful when you are using the high-speed internet access with limited packages. You don't have to even use the data from the statistics of the transmitted and downloaded information. 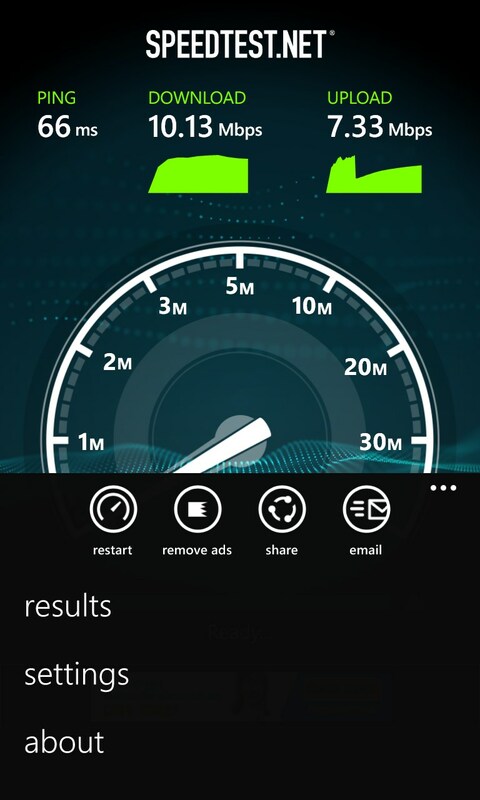 If the pages start to load slowly, you can run Speedtest.net to check how things are going with the speed. Normally, when packages of unlimited internet come to an end, the speed drops to 32 kB/s, and readings of the program will inform you on this. 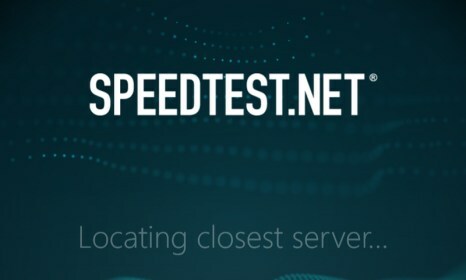 In the setting of Speedtest.net it is possible to determine the measuring unit of kB/s or Mbps and select the server to which you can establish a connection to test the speed performance. 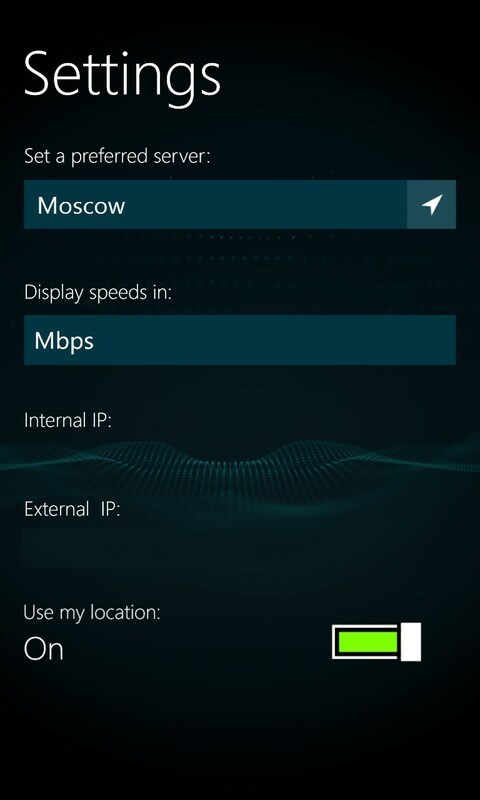 Right after starting the program it will determine your current location and offer to check the speed of connection to the closest server. However, for more accurate results you need to install the server or your Internet Service Provider or some well-known provider from the large cities of the country. The program also has a table of results which stores all the speed measures performed. 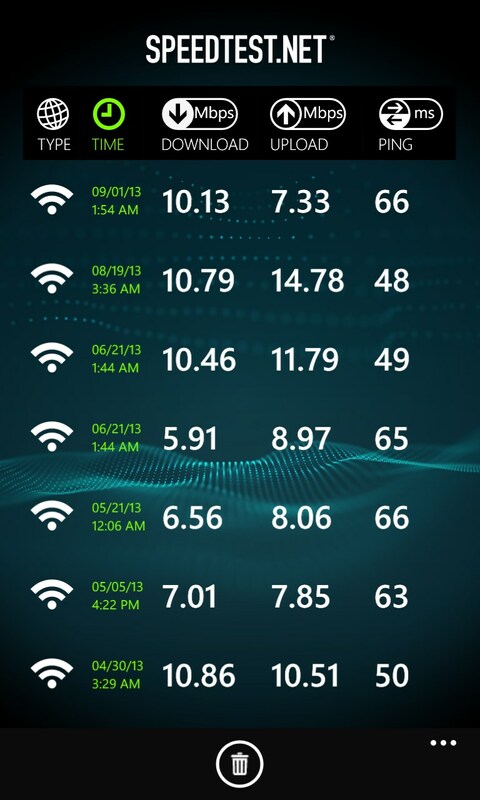 In some cases (when handling with the provider, for example) the data of this table may be the proof that the Internet connection was far from the stated provider performance. 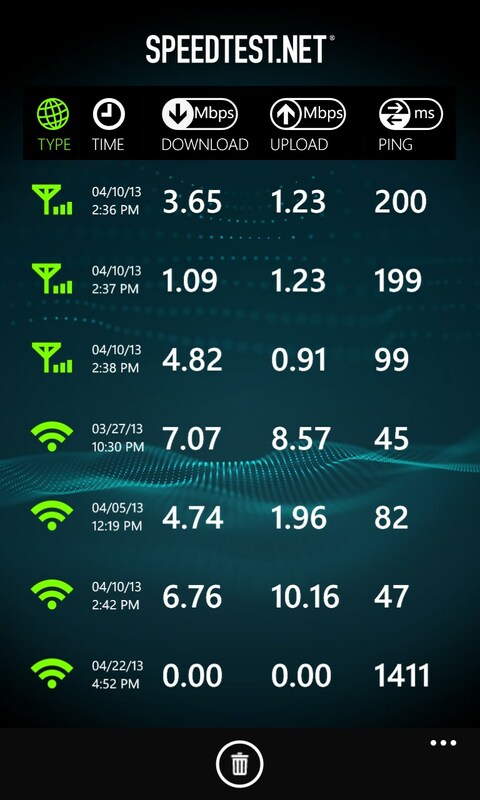 The information in this table can be sorted by increasing and decreasing criteria of data such as, for example, the type of connection (Wi-Fi/3G), the speed of downloading, the speed of uploading, the ping and time of measuring. The results of any measuring can be sent by e-mail or published on the page at the Facebook social network. The program is provided free of charge but an advertising banner will sometimes appear at the bottom of the screen. If desired, you can thank the developers with a coin and get rid of the advertisements. The application interface is very simple and intelligible to use, so that even beginners won't have any problems with it.